Do you have the guts become a fashion icon of the galactic empire, and bring forces of evil together? 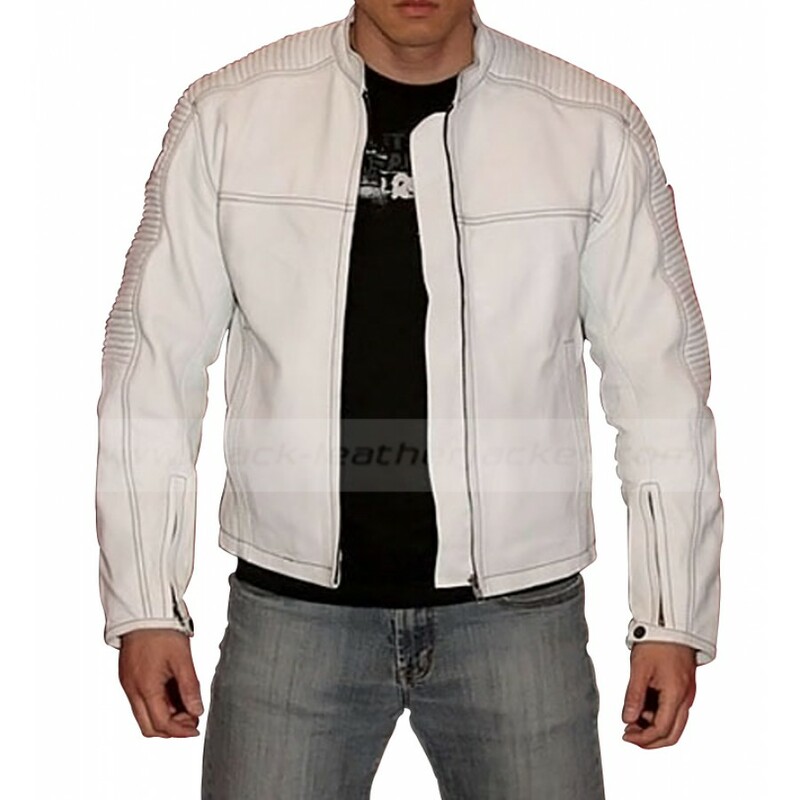 Try our white colored Star Wars Stormtrooper jacket,and fulfill your destiny in style. 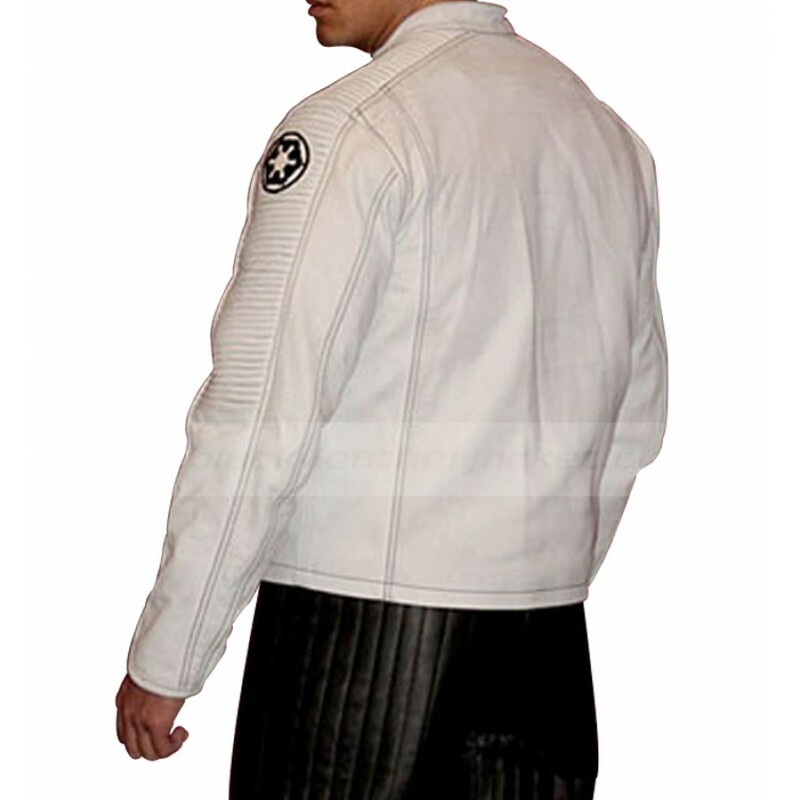 Made from genuine cowhide leather, the hallmark of this Star Wars Stormtrooper jacket is its fine embroidered Star Wars badge on sleeves. The jacket comprises of rib knitted collar with viscose lining given inside, to provide maximum comfortableness. The front zipper closure, padded sleeves and wrist zippers and snap button cuffs are everything you can ask for. This jacket is most preferably, high-speed bikers cannot get enough of.